On Thursday, the Somerset County Democratic Committee (SCDC) voted to endorse Linda Weber as its nominee for New Jersey’s 7th Congressional District race. We think it is important to explain the role of the Montgomery Democratic Organization (MDO) in this process. District Representatives and the Executive Committee of the MDO are eligible to weigh in on which candidate is awarded the “party line” (first name listed) on the Somerset County Democratic primary ballot. 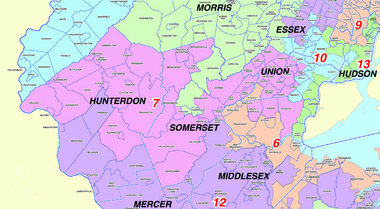 The candidate who wins the party line is presumed to be endorsed by the county. Typically, this happens in March at a County Convention, where a vote of District Representatives is recorded. Depending on the year, we cast votes for all types of candidates – Gubernatorial, Senate and Congressional, State Senate and Assembly, County Freeholders, and other elected officials. The most important election impacting us in 2018 is arguably the race against Representative Leonard Lance, in Congressional District 7 (of which Montgomery is a part). 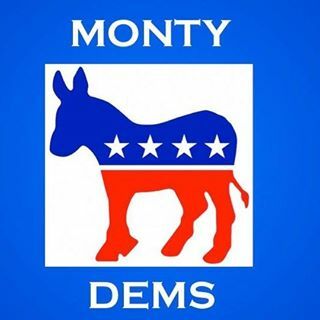 With that in mind, this year, we were asked by the County Committee to poll our District Reps to determine the MDO’s choice for the CD7 Democratic party “line” prior to an organized convention. We took our obligation to vet the seven candidates seriously. We thoroughly researched the candidates, went to candidate forums and meet-and-greet events, and had individual conversations with the candidates. The Somerset County Democratic Committee then used the results from all Somerset County municipal organizations that are part of the 7th Congressional District as the basis for endorsing Linda Weber. While the county has decided who will be on the party line on the June 5th primary ballot, we want to emphasize that it is SOLELY the June 5th primary that decides who will face Lance in November. That means that YOUR VOTE IS VITAL! At the MDO, we have one simple goal – to empower you, the voter. We want you to have the information you need to decide which candidate will serve our district best. You are important to this process: You show up, you make a difference. There are many more chances to meet the candidates, all of which we will keep you posted about – look for our updates! No matter which candidate prevails on June 5, we are all committed to a Democratic victory in November!